Transferring pictures from iPhone to Windows 10 PC has never been a complex process. 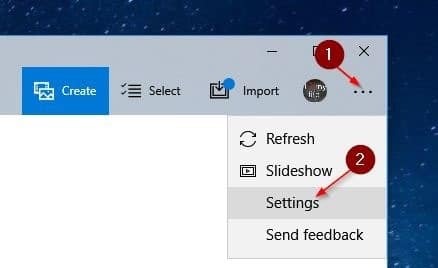 In fact, if you are on Windows 10, there are three easy ways to transfer pictures from iPhone to Windows 10 PC. Up until now, we had to physically connect our iPhone to Windows 10 PC with a cable in order to transfer photos from the smartphone to PC. Of course, you can use a cloud service like OneDrive to automatically backup iPhone photos to Windows 10 PC, but that requires a cloud account. The good thing is that you no longer need to connect your iPhone to Windows 10 PC with a cable to transfer photos and videos. If you are on Windows 10, you can now wirelessly transfer photos from iPhone to Windows 10 PC. In short, you can now transfer photos from iPhone to Windows 10 PC over Wi-Fi. 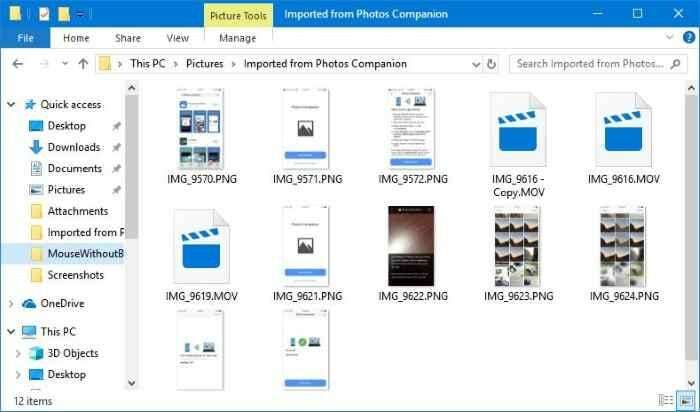 Microsoft has released an app called Photos Companion for iOS and Android to help mobile device users to wirelessly transfer their photos to Windows 10 PC. 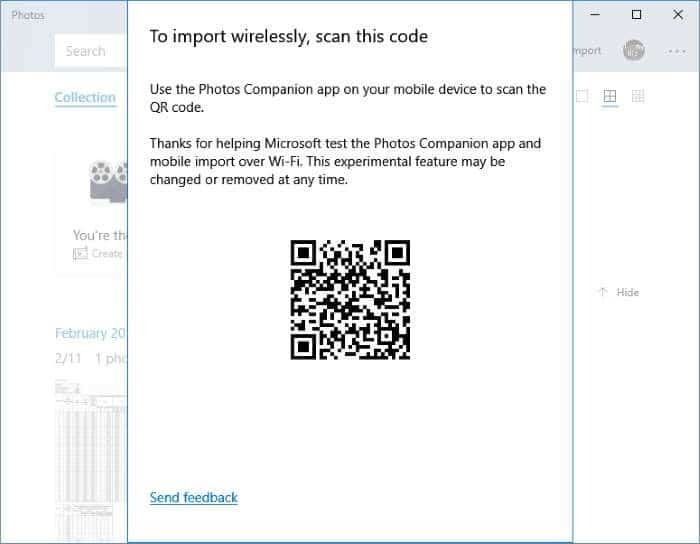 After installing the Photos Companion on your smartphone, you just have to launch the Photos app on your Windows 10 PC and scan the QR code on your PC. Needless to say that both your iPhone and Windows 10 PC must be connected to the same Wi-Fi network. This method will not consume your internet bandwidth as the files will be transferred over Wi-Fi. The feature is part of Windows 10 version 1903 and later versions only. Here is how to wirelessly transfer photos from iPhone to Windows 10 PC. 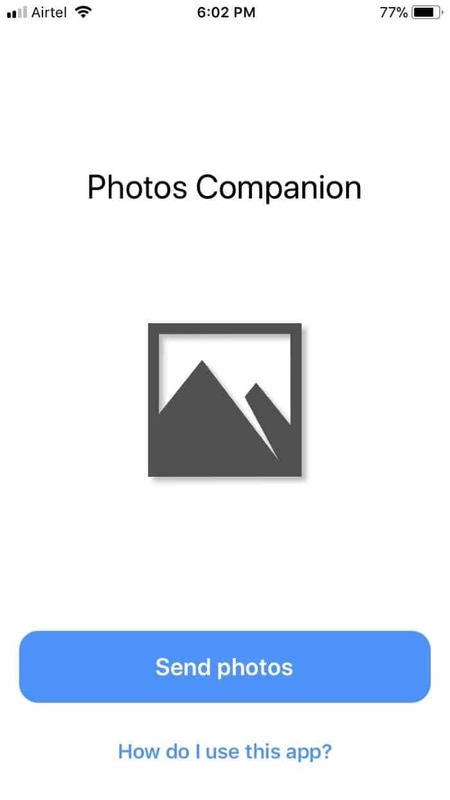 Step 1: On your iPhone, install the Photos Companion app by Microsoft (visit the App Store). Step 2: Open the built-in Photos app on your Windows 10 PC. Click the Imports button and then click From mobile over Wi-Fi option. 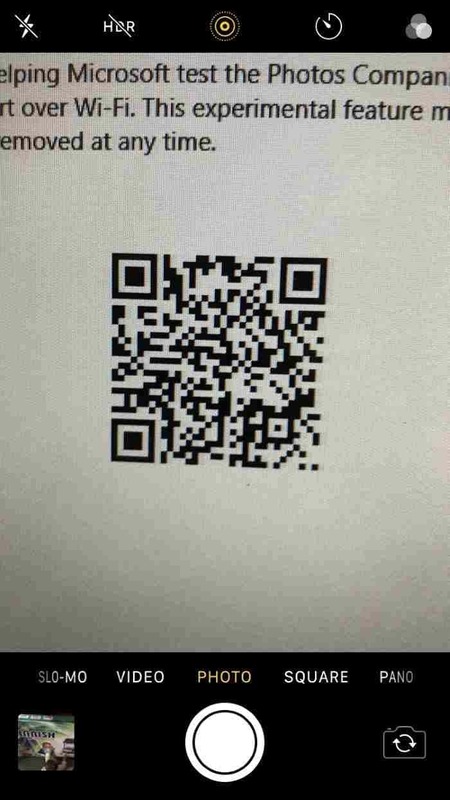 You will now see a dialog with QR code which you need to scan from your iPhone. Please note that the feature is currently available only for users who have opted-in for the Photos app preview program. 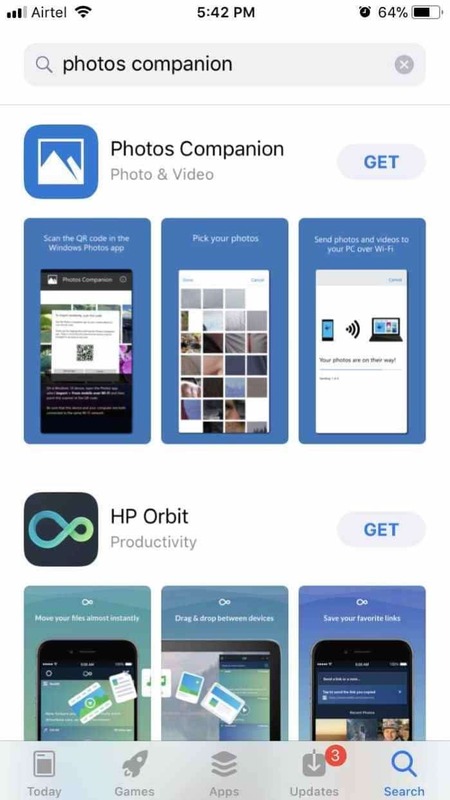 Step 3: On your iPhone, open the Photos Companion app. If you see the confirmation screen, tap Allow button to allow the Photos Companion app to access photo library on your iPhone. Step 4: On your iPhone, tap Send photos button, and scan the QR code appearing on your PC’s screen. 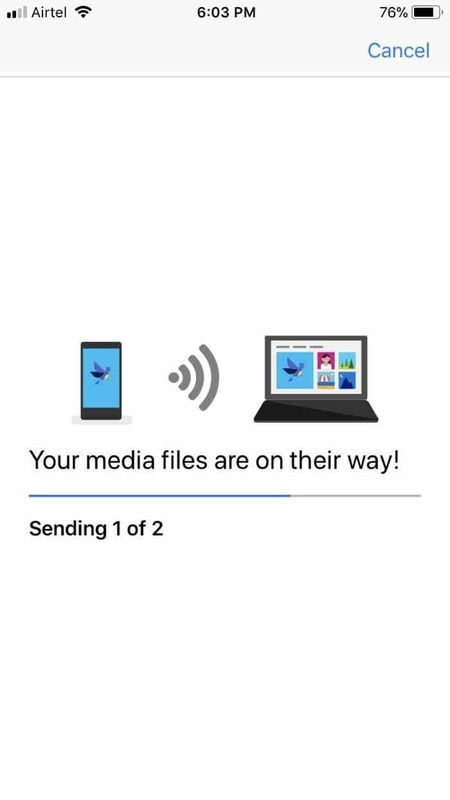 NOTE: If you get “Microsoft Photos Companion does not have permission to access your photos library, please change privacy settings message on your iPhone” message, tap Settings, tap Photos and then tap Read and write option. Step 5: Select the photos and videos that you would like to transfer to Windows 10 PC and then tap Done. The app will now begin transferring photos and videos to your PC. All transferred photos and videos will now appear in the Photos app on your Windows 10. You can find them by navigating to C:\Users\UserName\Pictures\Imported from Photos Companion folder. 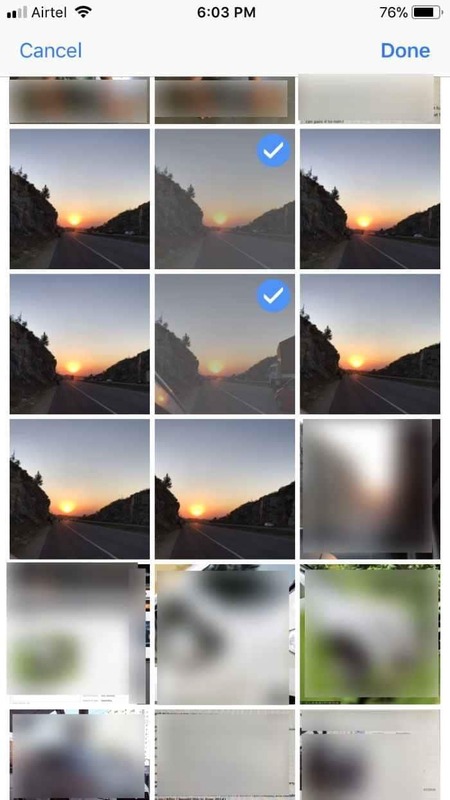 You might also want to know how to view iPhone live photos on Windows 10 PC. I have the program, but it doesn’t have the ability to transfer a file or files from the windows 10 pc (as the title suggests) to an iPhone, i.e., I have a photo that I want to text to someone quickly on my pc and of course send it to my iPhone over wifi. I do realize that just plugging in my phone via usb will offer the ability, but it’s a pain just for one photo.